One of the opportunities I had while working in China was to visit a remote section of the Great Wall of China. A coworker and I hired a driver and drove away from the tourist sites and into the Chinese countryside. Locals were amazed to see us there. They were timid at first, but eventually warmed up to us. 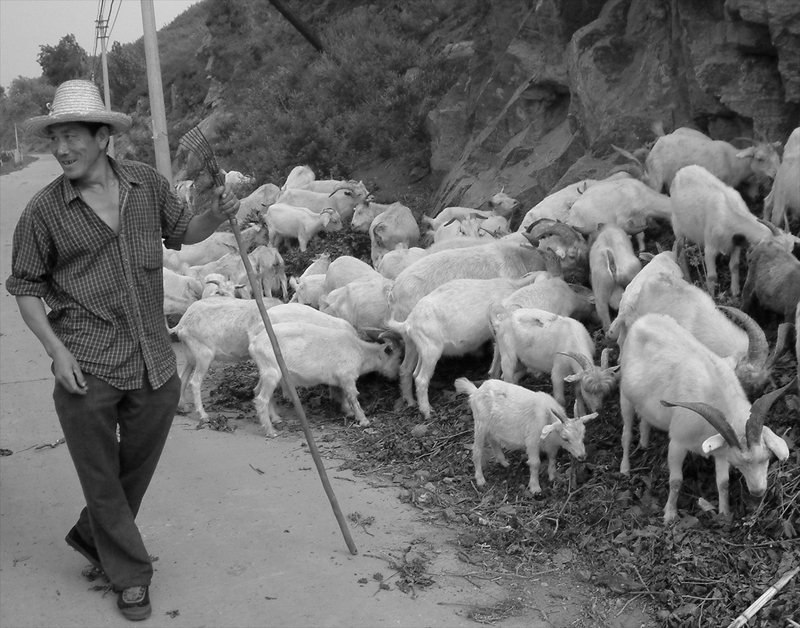 Farming and agriculture are the major ways of earning a living in countryside of China. Along our walk we passed this local goat herder and he allowed me to capture a few frames before passing us by with his herd.